When it comes to Legos, today’s game minded youth have it easy. In one keystroke they can build advance LEGO structures in seconds, something I as a young boy with my drum filled with Legos could only dream about. These same individuals can then proceed to smash it all, feel no regret for their actions, and continue on the perpetual cycle of insta-building and subsequent smashing. Call me jaded, but the majority of recent LEGO games have all been about pushing one particular story, instead of allowing players to create their own. Easier said then done from a technical perspective for sure. However, the childhood LEGO fan in me finds it upsetting to say the original Minecraft has/had more in common with original LEGO than LEGO itself. That being said, there’s still a whole lot of fans interested in the current style of LEGO games. 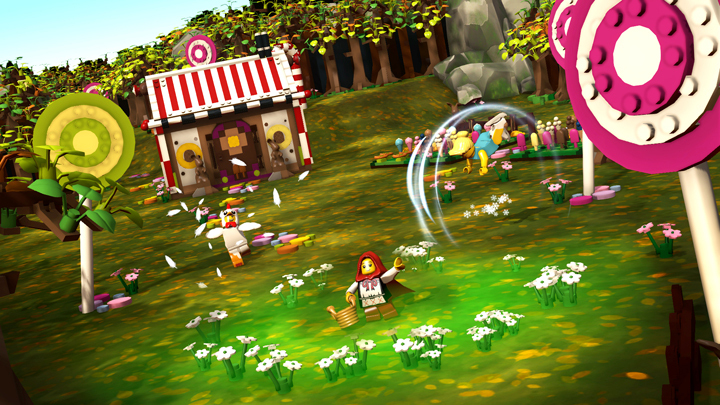 Lego Minifigures Online represents Funcom’s take on that style, set in an MMO universe. The MMO was announced back in August and has now opened signups for closed beta. Early participants may get in as soon as this month, with more being added overtime before open beta early next year. Minifigures will not be allowing players to create their own mishmash character, instead opting to have players collect close to a hundred unique characters including “the Chicken Suit Guy”. These characters act as rudimentary classes and posses different abilities. A valid tradeoff? You decide. I am signing up ! Stopped reading right there. If I can’t build my own guy and have to be a clone of someone else, forget it. Lego is all about creativity and that right there is complete antithetical to it. I signed up for it.It’ll be nice to have a way to play with Legos with family when I’m away on buisness. Mounted. This looks cool though.